The OBaby Stamford Classic Four Piece Room Set offers the perfect blend of quality, style and reliability. This set includes all the essentials that you will need to make the perfect nursery. 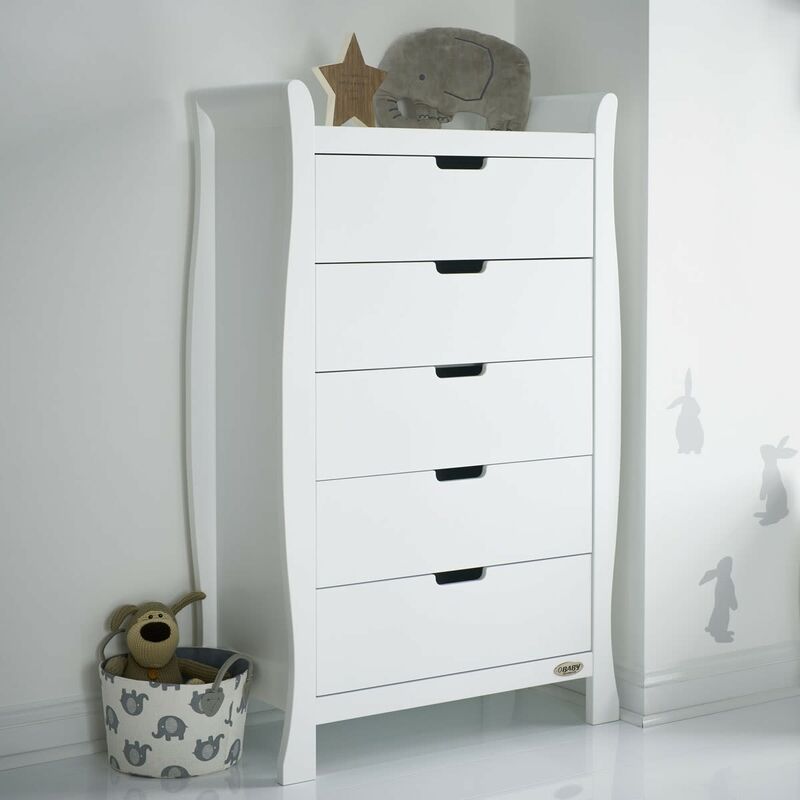 It comprises of a cot that is cleverly designed to grow with your child and turns into a junior bed, the set also features a changing unit, a tall chest of drawers and a wardrobe. The range has a timeless feel and it’s elegant scroll design offers a contemporary finishing touch to each piece. Carefully crafted from solid New Zealand pine, the collection is available in a choice of white, warm grey and taupe grey to compliment any colour nursery scheme. The OBaby Stamford Classic Four Piece Room Set requires assembly and is delivered within two weeks. OBaby offer a free 5 year guarantee when you register your purchase with them within 28 days. If you’re looking for a smaller nursery set, the Obaby Stamford ranges comes in a classic three piece room set.